High-Profile public figures support the Diaspora World Cup Mission. 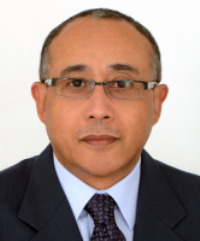 José Luis Fialho Rocha, a longtime member of his country’s foreign ministry, took over as Cabo Verde’s ambassador to the United States on May 12, 2014. Cabo Verde, also known as Cape Verde, is located off the coast of West Africa and has a population 0f about 512,000. More than 100,000 Americans are of Cape Verdean ancestry or were born in Cabo Verde. Rocha was born August 6, 1956, on the island of San Vicente in Cabo Verde. He finished secondary school in 1974 and went to the Catholic University of Louvain in Belgium, earning a bachelor’s degree in political science and international relations in 1981. Rocha’s first ambassadorial post came in 1995, when he returned to Belgium as Cabo Verde’s representative to that country and to Luxembourg. He was also the envoy to the European Union and to the African, Caribbean, and Pacific Group of States. 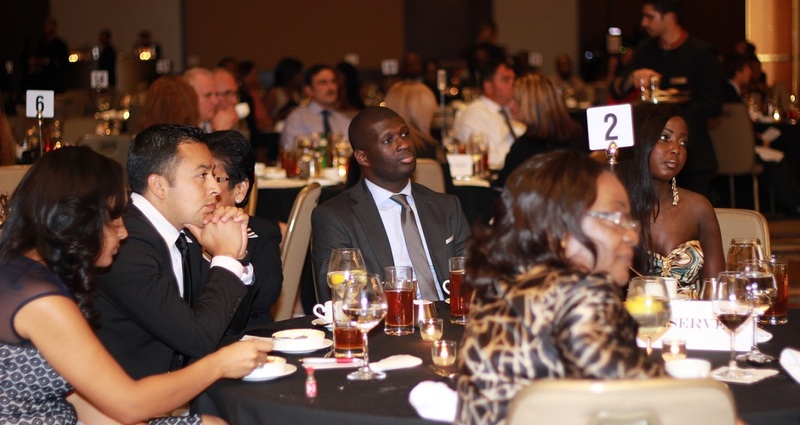 In 1999, he was made ambassador to Organization Internationale de la Francophonie in Brussels. He returned home in 2007 as director general of Foreign Policy for his government. In 2010, Rocha was made director of National Political Affairs and Cooperation in the Ministry of Foreign Affairs. He became Secretary of State, the number two job in the ministry, in 2011. While in that post, he negotiated deals with China for that country to build infrastructure projects in the islands. As ambassador to the United States, one of Rocha’s jobs is to look out for the interests of the Cabo Verdean diaspora in this country, many of whom live in the Boston area. Rocha and his wife, Yamile, an anesthesiologist, have two sons and a daughter. He speaks Cabo Verdean, Portuguese, French, English and Spanish. Mrs.Floreta Faber is born in Shkoder, Albania, on March 19th, 1968. She is a graduate of Tirana University, Faculty of Economics, in the Sphere of Circulation in 1990. From 1993 to 1995 she has been studying the two-year Master of Science Program for International Marketing & Strategy at the Norwegian School of Management in Oslo, Norway, including a period of studying as exchange student at the Washington State University, in Washington State in the USA. Her Masters Diploma in Marketing and Operational Management isawarded by MB University, in Albania. She has been following several executive programs and trainings, such as International Visitor Leadership Program of the Department of States and Harvard University, focusing on programs of leadership, international relations and diplomacy, management, negotiations, accountability in governance, state protocols, and business development. Mrs. Floreta Faber has been working as the Executive Director of the American Chamber of Commerce in Albania since its opening in 2000. In this capacity Ms Faber has been working closely with the representatives of the Albanian and American government, international organizations and the EU, alike business organizations in United States, Europe and beyond. She has been instrumental to the organization itself and to the development of functions like the advocacy capacity of business community in Albania. The working experience led her in becoming well-known and an expert in several fields, such as: public and government relations; facilitating roundtables and negotiations; managing organizations towards success; advocacy to the highest levels of government, international organizations and diplomatic circles; playing a great role in bringing the American and other international experiences to the Albanian environment. She is distinguished for high integrity and well-known for her communication skills. From 1995 until the year 2000, Ms. Faber worked with Deloitte &Touche, Tirana, Albania, including a secondment program with Deloitte &Touche, Prague, Czech Republic. She served in opening the Deloitte &Touche office in Tirana and moved to several position levels as the office was growing, carrying out the business development and participating and managing many different projects. 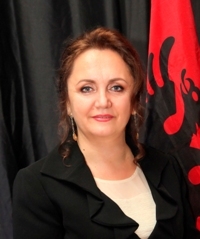 From 1990 until 1993, Ms. Faber started her working experience in Shkoder, Albania, with three years of experience in three different organizations, a local Chamber of Commerce, a Regional Business Agency and a public import-export company which gave her since than a strong background working with various Albanian government and emerging business environments. Mrs. Floreta Faber is married to Dr. Edmond Faber, vascular surgeon; they have a daughter Kesli (born in 2000) and a son Klint (born in 2003).